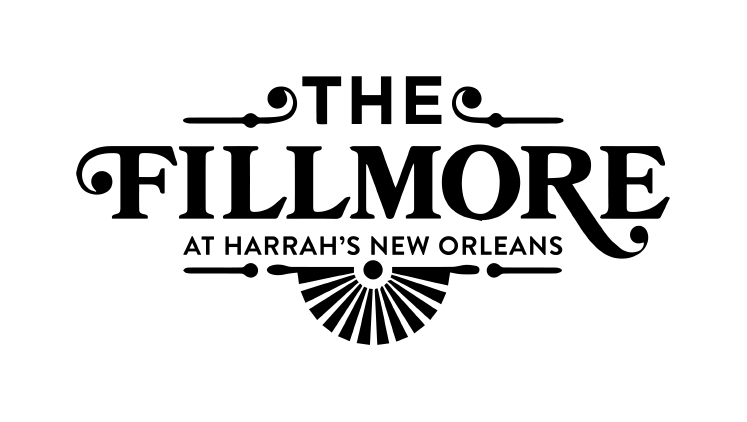 The Fillmore, a state-of-the-art 2200 capacity live entertainment venue sets a new standard for Southeastern United States music clubs. 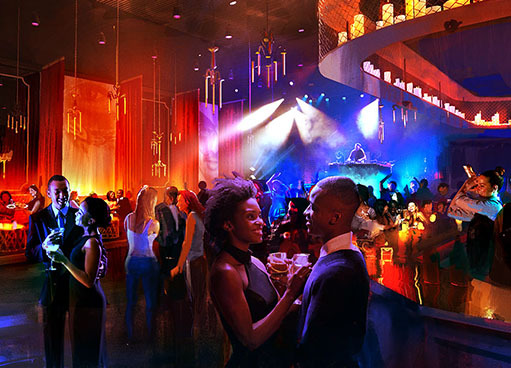 Decked out with signature Fillmore nostalgia alongside aesthetic nods to NOLA sprinkled throughout the 22,000 square foot venue, the dazzling new club will open its doors to the public on February 18th. 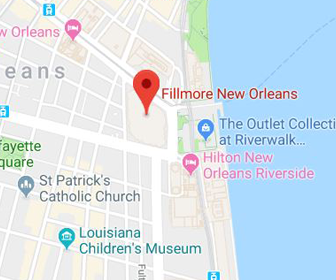 The newest Fillmore has embraced NOLA, and the design details within reflect the unique qualities of local architecture and material such as wrought iron gate segments and clapboard sidings used throughout the venue alongside local influences such as gas street lanterns and hints of Mardi Gras and masquerade balls. The environment encourages guests to make a night of it and enjoy a meal or light snack with inventive cocktails and craft beers available throughout the music hall and inside two luxurious lounges and bars. Within the club’s main room and VIP club BG’s Lounge, fans will discover small batch liquors, local and national craft beers, curated wine selections, and an elevated full menu of local and chef favorites. Popcorn Shrimp, Hot Chicken, Pulled Pork, Caribbean Chicken Wraps, Charcuterie and Cheese Bento Boxes, Classic Diner Burgers as well as The Impossible Burger vegan option are just a few of the items that will be available all night long; allowing guests to come early and stay late as part of their overall experience. 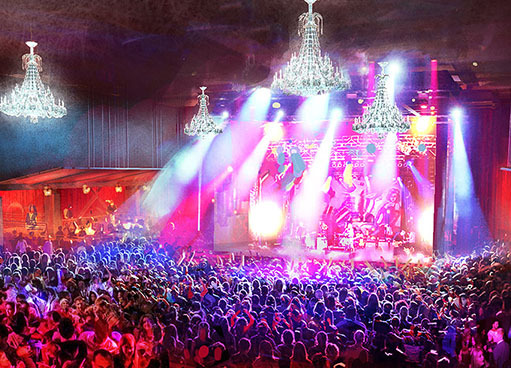 The original Fillmore is one of this country's most storied venues. Originally opened in 1965, that intimate Fillmore was the epicenter of the American music scene during the 1960s and 70s, promoting the who’s who of iconic musical acts such as Aretha Franklin, Grateful Dead, Miles Davis, Jefferson Airplane, Cream, Santana, The Doors, Janis Joplin; and many, many others which helped it grow into the legend it is today. 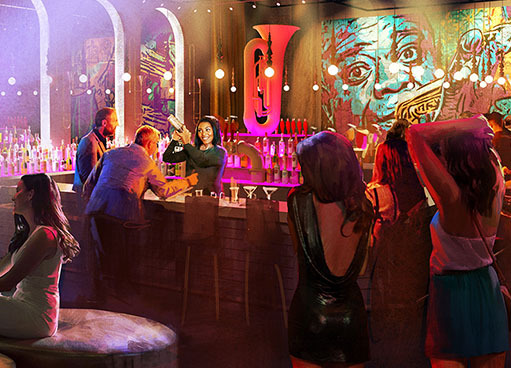 NOLA’s Fillmore pays homage to the original club’s spirit with vintage posters, ornate chandeliers and velvet curtains to create a signature atmosphere that is welcoming for both artist and fans.